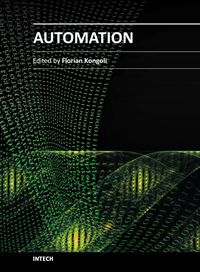 This is how Dr. Kongoli views the role of Automation in the modern world: Automation is closely related to the modern need for sustainable development in the 21st century. One of the principles of sustainability is "Doing More with less" which in other words, is also one of the goals of automation. By replacing the routine part of human labor with the use of machines, automation not only increases productivity and the quality of products beyond what can be achieved by humans but also frees space, time and energy for humans to deal with the new, non-routine challenge of developing innovative and more advanced technologies. This magnificent cycle in which established developments are automated and the free resources achieved by this automation are used to develop newer technologies that are subsequently automated is one of the most successful recipes for the human race towards the goal of sustainable development. Free Download: Click here [pdf].